Glen Grant is extremely popular on the continent and is often used in 5 year form to mix with Cola, but don’t let that sway your opinion of the Glen grant whisky brand. 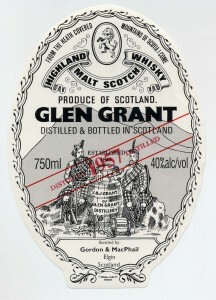 The Glen Grant Speyside distillery has some real heritage – producing one of the first single malts known! You only need to take a look at their large selection of bottlings for a glimpse at what the Glen Grant brand is all about.